As highly trusted machining experts in graphite, Ameri-Source is now also known for our machining expertise in metals. As of 2018, Ameri-Source completed an acquisition of a well-known and highly respected CNC metal machining company (20,000 sq. ft. temperature-controlled facility) in Bethel Park, PA.
Our new graphite and metals facilities are equipped with top of the line CNC machines to handle most cutting, milling, grinding, plating, and turning heat treatment. Our commitment to you is total customer satisfaction by understanding your scope of work, provide competitive pricing, deliver quality work, and reasonable lead times. Ameri-Source carries a large inventory of different graphite grades including: AS-CX, AS-LM, AS-TJ, and AS-UF. 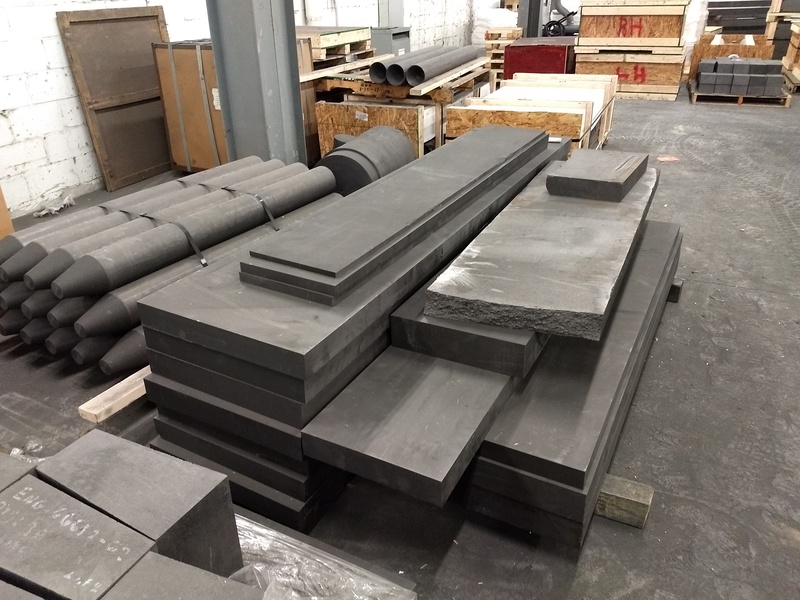 Our specialty graphite is available in a variety of sizes in both blocks, rounds, and rods, that are chemical and shock resistant along with thermally conductive features. Our specially trained CNC machinists are capable of producing small and large runs in both graphite and metals for different industries and applications while meeting extremely tight tolerances. Ameri-Source provides worldwide shipping capabilities along with rush service. Please contact us to discuss any of your needs. Blocks, Boats, Brazing Plates, Canisters, Crucibles, Degassing Tubes, Dispensing Heads, Electrodes, Fixtures, Fluxing Tubes, Heating Elements, Heating Rods, Lube Blocks, Molds, Plates, Pusher Blocks, Rotors, Run Out Tables, Shafts, Spouts, Skimmer Paddles, Trays, Vessels, and much more.